Our 2007 vintage of The Discussion is the product of one of the finest growing seasons in memory. 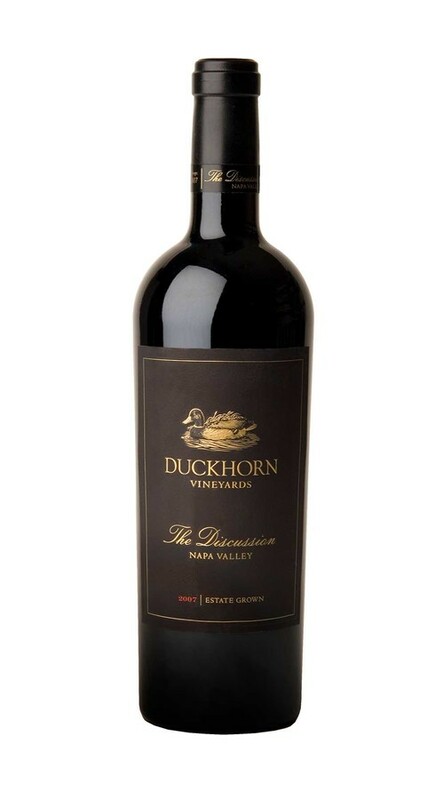 As with many of the greatest wines in the 35-year history of Duckhorn Vineyards, this vintage of The Discussion celebrates the timeless union of Cabernet Sauvignon and Merlot to achieve a wine that is rich, complex and elegantly harmonious. Refined aromas of mulberry, hazelnut, leather, cedar, tobacco and sweet spices give way to deep rich flavors of blueberry, black plum, cassis, clove and chocolate. Given time to breathe, these flavors evolve in the glass gaining additional depth and complexity, while developing warm, earthy tones and hints of toasted coconut.